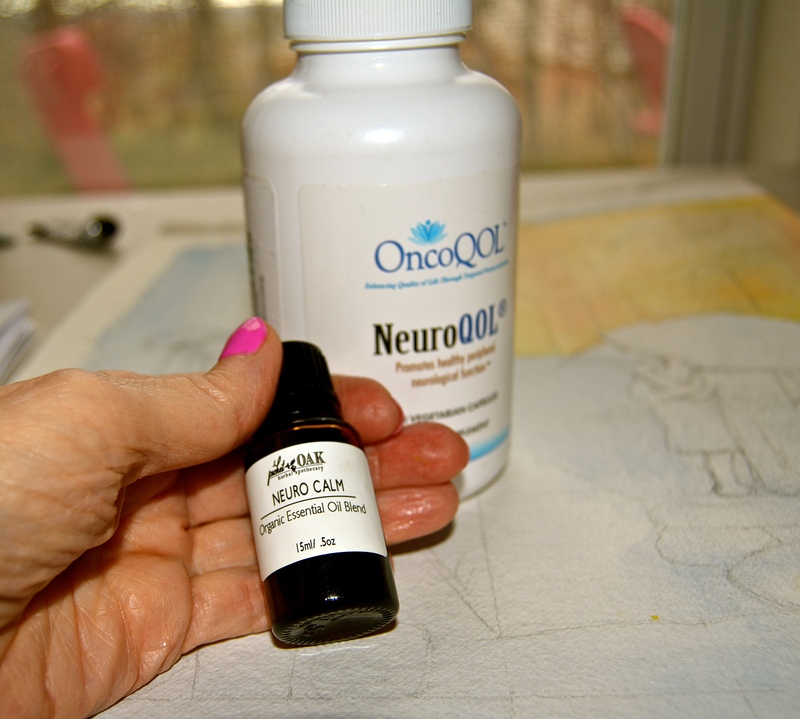 Can You Paint With Neuropathy? I am trying to work on a watercolor this afternoon, after a long morning of pain. I have taken all the pain pills I can possibly take, probably more than I should, and I am upright in front of my paints. 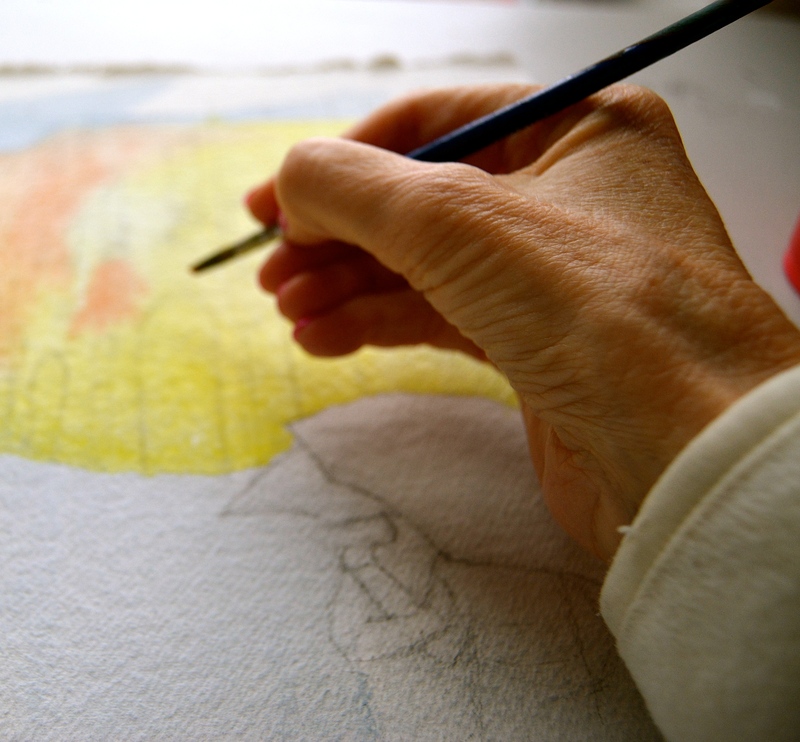 I am working on a watercolor of Lucca, Italy – depicting a rainy spring day. I loved the reflections I saw in the cobblestone streets. My fingers barely co-operate because they are fuzzy with neuropathy. My fingertips feel as if they are sound asleep, or just starting to wake up. It hurts a little to hold the brush, but I am determined to do something other than lie in bed today. 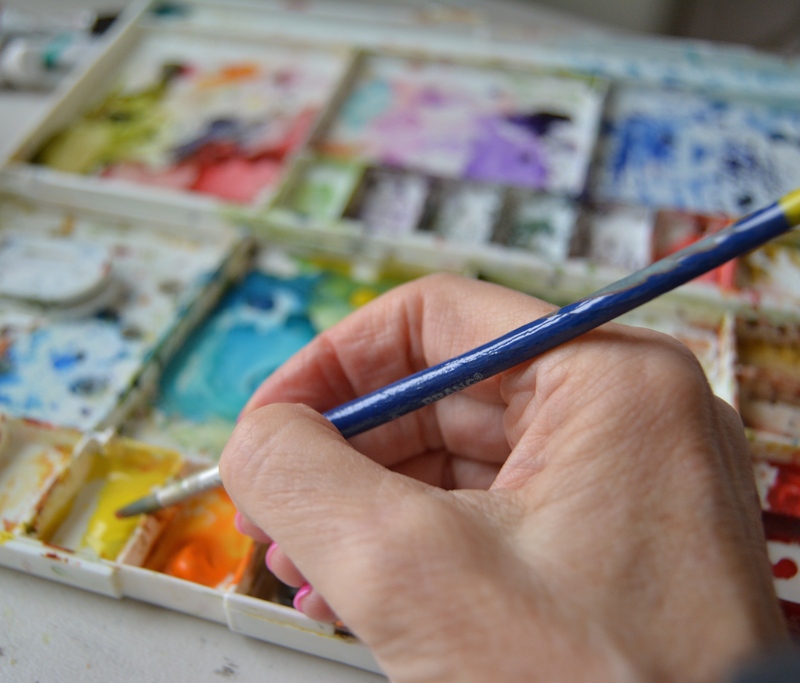 Besides, when I paint, I feel God’s presence because He made me an artist, and He delights in my using the gifts He has given me. 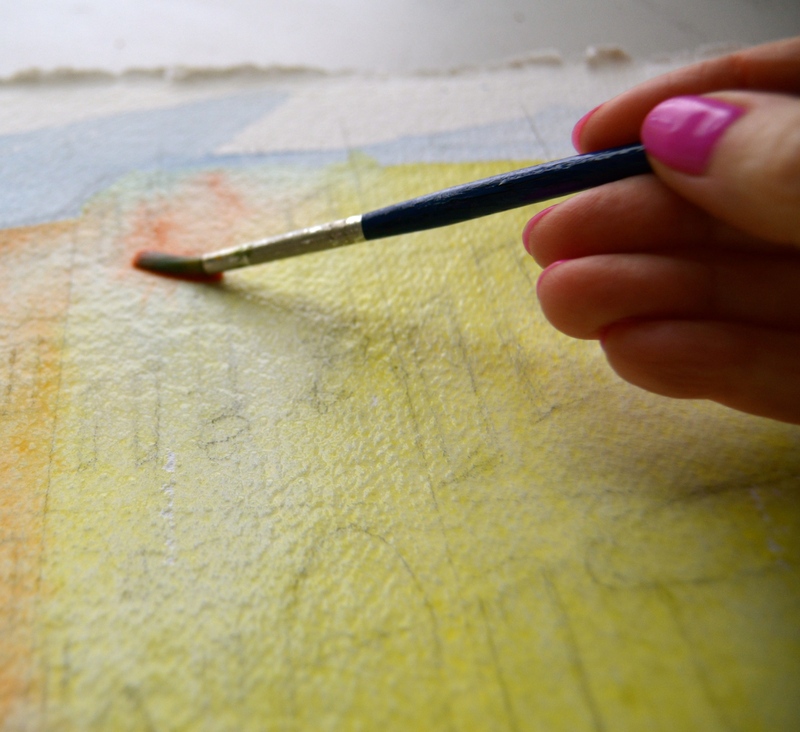 I lay down a layer of bright yellow, which reminds me of cheery days and dear friends in Italy. Then I add a raw umber layer to give the buildings a rosy glow. The yellows aren’t quite yellow on the buildings, unless they are mustard yellow. 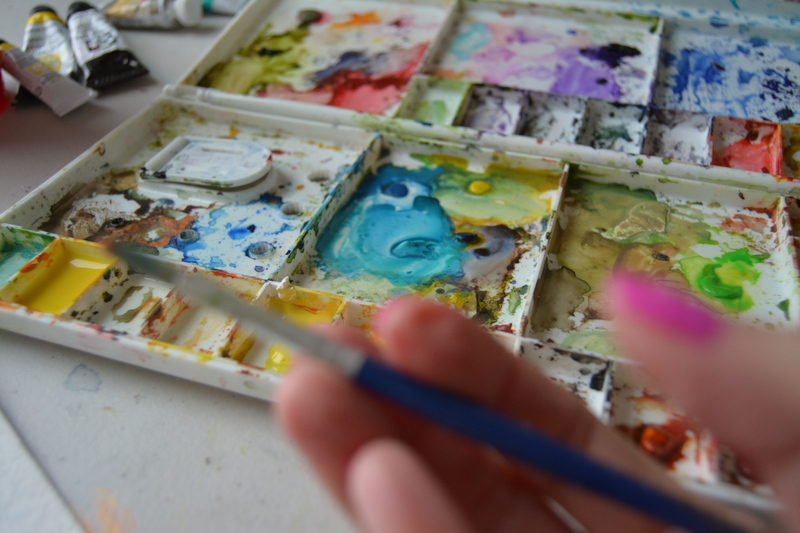 I awkwardly push my brush, with my numb fingers, to move the water and paint to places I’d like it to go. “You can do this.” I cheer my fingers on. I’ll let those two layers dry, and then go back, with my clumsy fingers, and try to add more nuanced layers. I’ve been taking natural substances orally, and rubbing essential oils onto my fingertips and toes, to help relieve the neuropathy. I’m not sure of much success. I think it just takes time to go away. Not all chemo causes this, but my type of chemo does. I was hoping my hands might be spared, but that was not to be. If I complete this painting during these months of chemo, it will be a miracle. Truly. You are an inspiration Marcia!